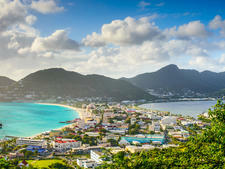 St. Maarten, like many other Caribbean islands, was spotted by Christopher Columbus in 1493. But the island's real history began with French and Dutch settlers who divided the island in 1648. They have lived side-by-side ever since. 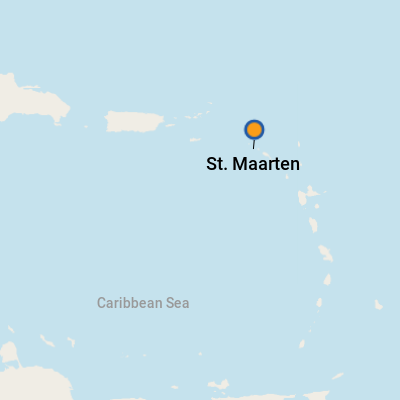 St. Maarten, governed by the Netherlands Antilles until 2010, is now a constituent country of the Kingdom of the Netherlands (along with Aruba, Curacao and the Netherlands), while St. Martin is part of the French West Indies. What's particularly fun is that you can easily swing back and forth from the Dutch to the French sides and enjoy the best of both. On either side of the mountainous island, lovely beaches -- including the famed clothing-optional part of Orient Beach -- rival the best in the Caribbean. Plus, duty-free prices for electronics and liquor in Philipsburg might be the best deals around. 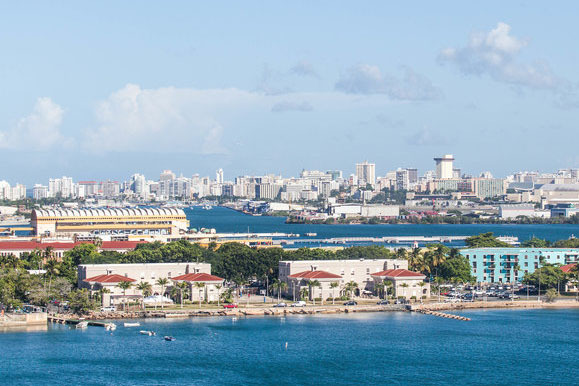 The Dr. A.C. Wathey Cruise & Cargo Facilities, St. Maarten's pier and cruise terminal, is a boon to cruise passengers, especially those who find tendering unpleasant, inconvenient or physically challenging. 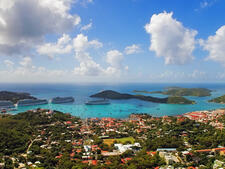 In most cases, ships will dock there, where it's less than one mile to the heart of Philipsburg. (Inexpensive water taxis are available for those who don't want to walk.) On busy days when lots of ships are in port, tendering to Little Pier, right in the center of Philipsburg, is a possibility. A five-minute walk from the cruise terminal (going toward Philipsburg) takes you to the small boat marina named Dock Maarten -- pun intended. There, you'll find shops, water taxis and boat tour operators and a popular waterfront bar and grill, Chesterfield's. Slightly farther, Philipsburg's pedestrian-friendly downtown is a definite duty-free shopping destination; great buys can be found on electronics, liquor and jewelry. Tourists tend to be robbery targets, so don't flash valuables or cash, and do not leave anything valuable in a car or on the beach. On Foot: The main on-foot attraction at the base of the pier is a set of duty-free shops. After that, it's a 20-minute walk into downtown Philipsburg. For a more scenic view, take a brief water taxi ride from the port to Captain Hodge Pier at the foot of the boardwalk. Then, continue your on-foot exploration from there. Taxis: Taxi operators in St. Maarten are under government regulation. Passengers at the port facility queue up under signs designating per-person rates and destinations -- everything from one-way to Philipsburg to a full island tour. Charges are based on two passengers and destination. Additional passengers cost extra. Check out the Dutch St. Maarten Taxi Association for more information. Vehicles range from standard taxis to large vans and open safari-style vehicles, and rates are per vehicle, so you'll pay less if you have more people. The per-person savings aren't that huge, so if you are on a tight schedule and don't know your taxi-mates well, it's probably best to go it alone (they might pipe up that they want to add an island tour or a detour to the beach). Water Taxi: A water taxi operates between the cruise pier and the heart of downtown Philipsburg; the cost is reasonable, and a roundtrip discount is often available. By Rental Car: This is a destination where renting a car can be a benefit (particularly if you have four or more people and want to see sights on both St. Maarten and St. Martin). There are a handful of agencies at the cruise pier. The local currency is the Netherlands Antillean guilder on the Dutch side and the euro on the French side, but U.S. dollars are widely accepted. Banks and ATMs are readily available, and most establishments take credit cards (although you'll have to pay cash at the smaller beach bars). Although the official language is Dutch for St. Maarten and French for St. Martin, virtually everyone speaks English. Lunch in St. Maarten can vary from an authentic Caribbean meal and casual beachfront fare on the boardwalk to an extravagant culinary sensation -- lobster thermidor is considered a specialty. Options abound on both the Dutch and French sides; the latter is a serious spot for foodies. Dining in Grand Case: Those with serious palates will want to head up to Grand Case on the French side, where high-quality restaurants abound at prices that favor the American dollar. (Most venues accept an equal 1:1 euro-to-dollar conversion.) For authenticity, try the barbecue chicken, ribs and seafood at the lolos -- locally owned, open-air restaurants.